Did you know: Our necklaces and earrings are water resistant, rugged and designed to be worn as often as you like. You knew your horse’s tail was beautiful before. When you wear one of these treasures, everyone else will know it, too. Detailed descriptions of each piece of jewelry are found by scrolling down. 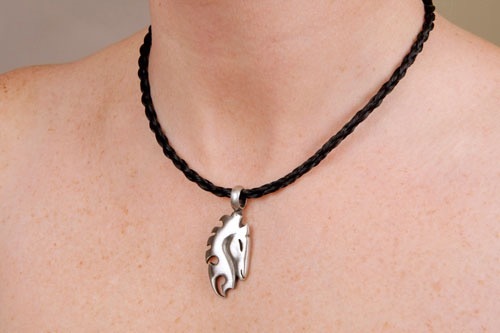 For necklaces, please provide a selection of tail that measures at least 20 inches from top to bottom. Earrings can be made from basically any pinch of tail that is provided. Still with you. Near your heart. Guiding you in forward motion for always.